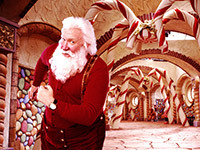 The best Christmas movies ever includes holiday classics, the Santa Claus, Peanuts, Polar Express and others. Top family-friendly must see seasonal movies. First on my list is the 1984 made-for-television movie A Christmas Carol. 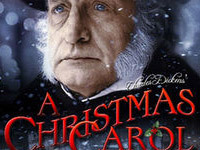 This classic Christmas movie is one of the best adaptations of Charles Dickens’ 1843 novella ever made. George C. Scott plays the miserly Ebenezer Scrooge, lending his talent and looks to really bring his character to life. I love the old-English backdrops and the way each ghost was portrayed. This movie had just enough special effects to make it believable without being overdone. 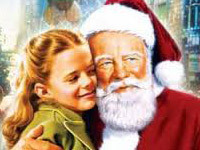 Next must-see movie is a classic tale of a young girl who no longer believes in Santa. The original 1947 Miracle on 34th Street co-starred a young Natalie Wood, whose wide-eyes and wise-beyond-her-years attitude drew us into her magical revelation. This movie is family-friendly and draws us back to a time of innocent wonderment. The story also offers suspense and a thrilling court scene where Santa has to prove himself as the real-deal. What would a best Christmas list be without the first Home Alone? This 1990 movie starred the precocious, yet loveable, Macaulay Culkin, as a kid that was accidentally left behind when his family goes on vacation. The comedy is A-one as Joe Pesci and Daniel Stern play bumbling thieves that are determined to break into Culkin’s character’s home. Your kids will love this classic Christmas movie and may just hope they get left behind this Christmas, too. One of my favorites for the holidays is definitely The Polar Express. This animated Christmas tale will become more and more of a classic with each passing season. Even though the movie was made in 2004, the animation looks very realistic and can still rival anything made today. The story is heart-warming and magical and is sure to leave you with a smile on your face. 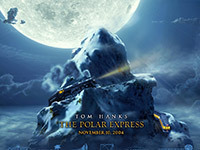 Tom Hanks lends his voice for not only the conductor, but also Hobo Joe and Santa in this sweet Christmas tale. If you haven’t seen it yet, take some time this holiday season to watch Polar Express. Another animated classic Christmas movie is How the Grinch Stole Christmas. Children’s author, Dr Seuss, penned and illustrated the original story which was published in 1957. 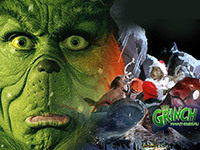 This rhyming tale tells of a hairy green fellow that steals Christmas away from the “Whos.” The Grinch was brought to life on television in 1966 with the infamous, Boris Karloff, doing both the narration and lending his skilled voice for the Grinch himself. This was one of my favorites and deserves a spot on our top Christmas movie list. 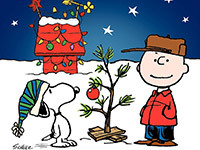 Perhaps one of the best animated Christmas stories is, A Charlie Brown Christmas. This movie was first aired in 1965 and continues to air each season. It may lack the same flair and true-to-life animation of today’s modern cartoons, but it has stood the test of time. The simple characters and the masterful writing of Charles M. Schultz has delighted and inspired movie watchers for decades. It just doesn’t seem like the holidays without Linus and his blanket letting us in on the true meaning of Christmas. The final movie I chose to complete my top list of Christmas movies is, The Santa Clause. This movie is great for the whole family and stars, Tim Allen. Allen plays an ordinary man (Scott Calvin) whose roof accidently kills Santa Claus. With Christmas in peril, Allen ends up turning into Santa and must assume his role to save Christmas. This movie is still cute and funny even though it was made back in 1994. The Origins of Christmas: Sun, Son or Fun? Name a star now! - The Best Christmas Movies. Ever!